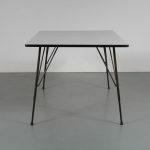 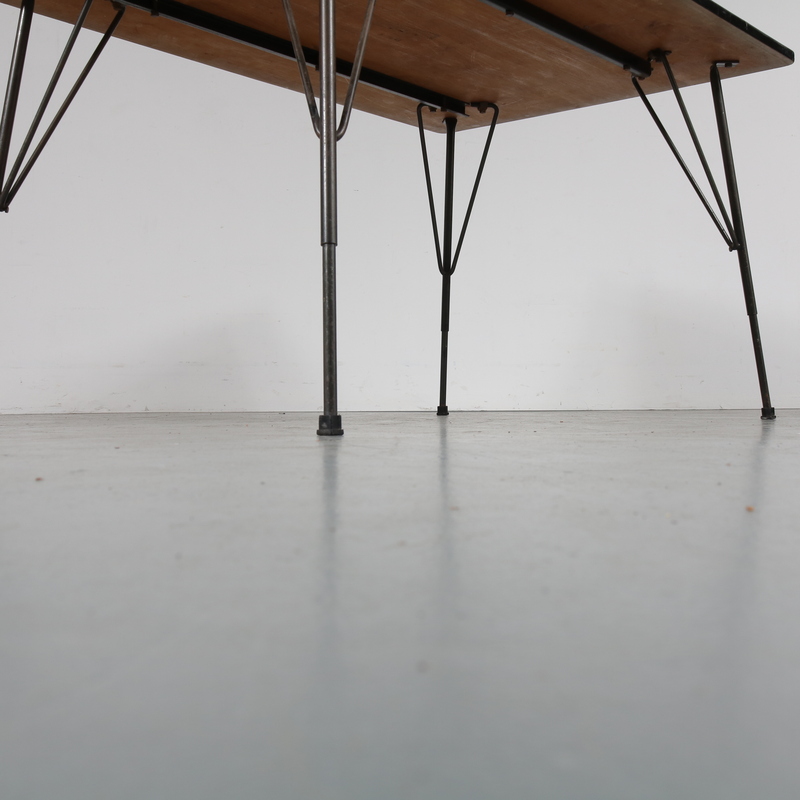 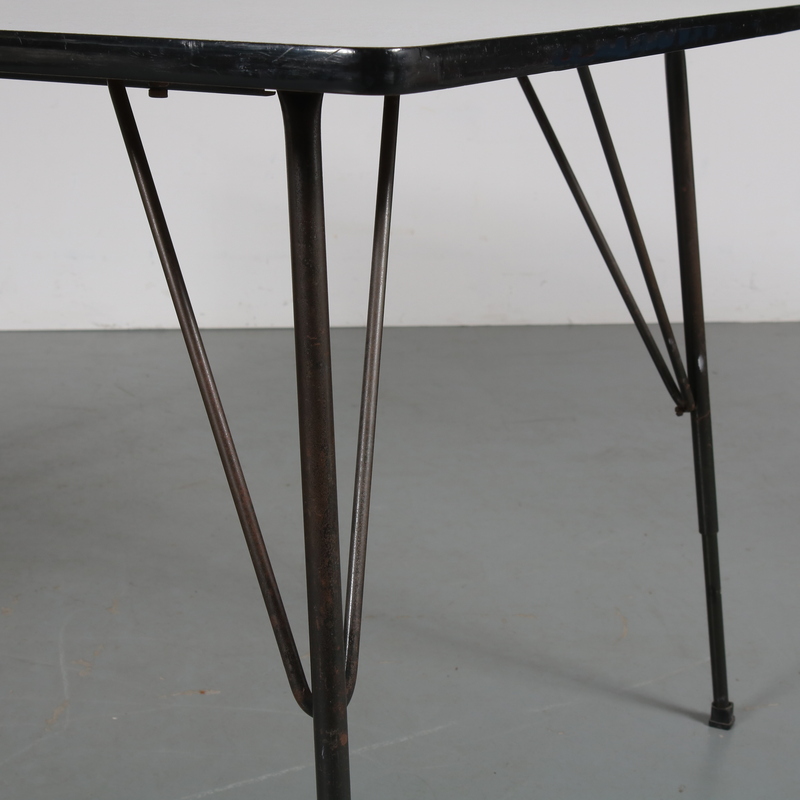 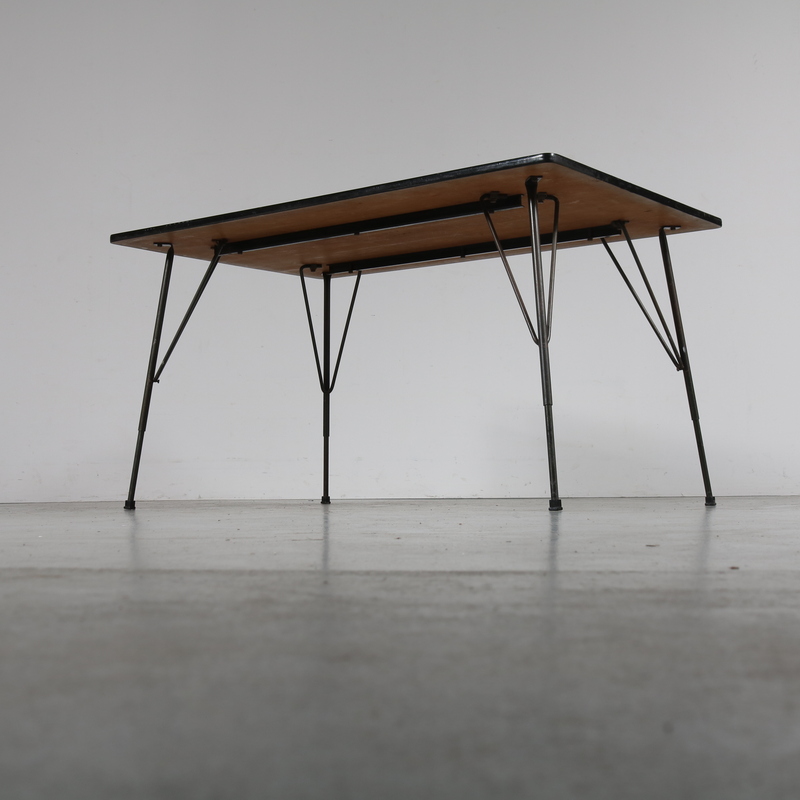 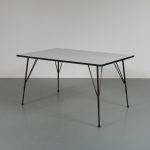 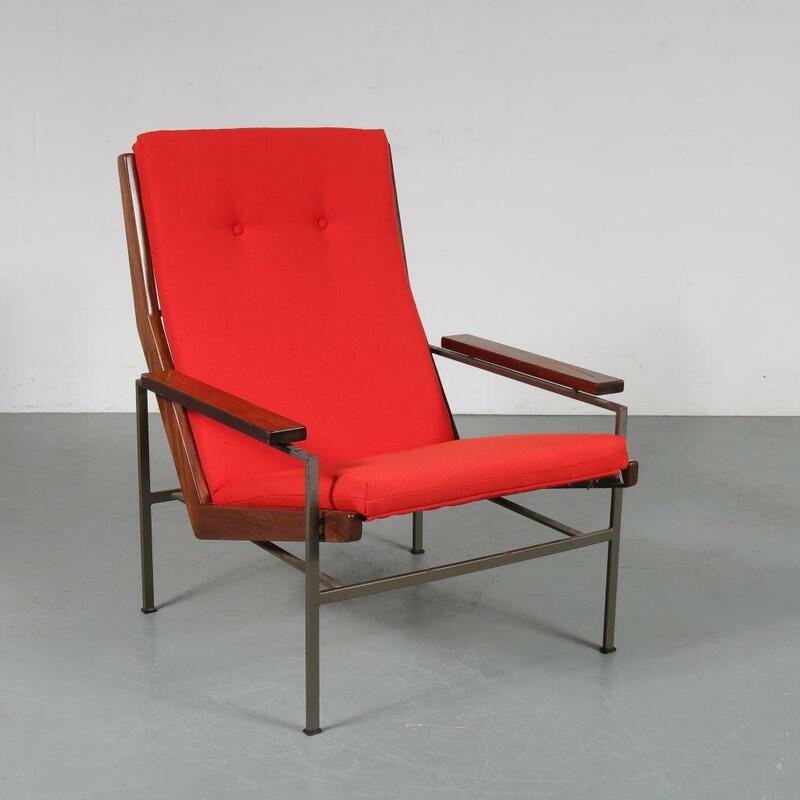 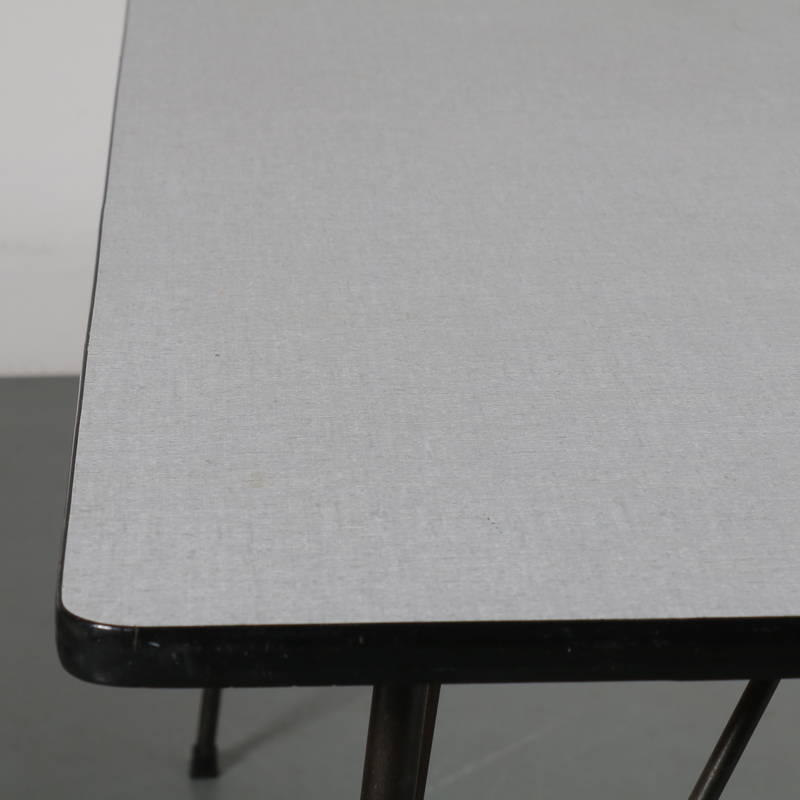 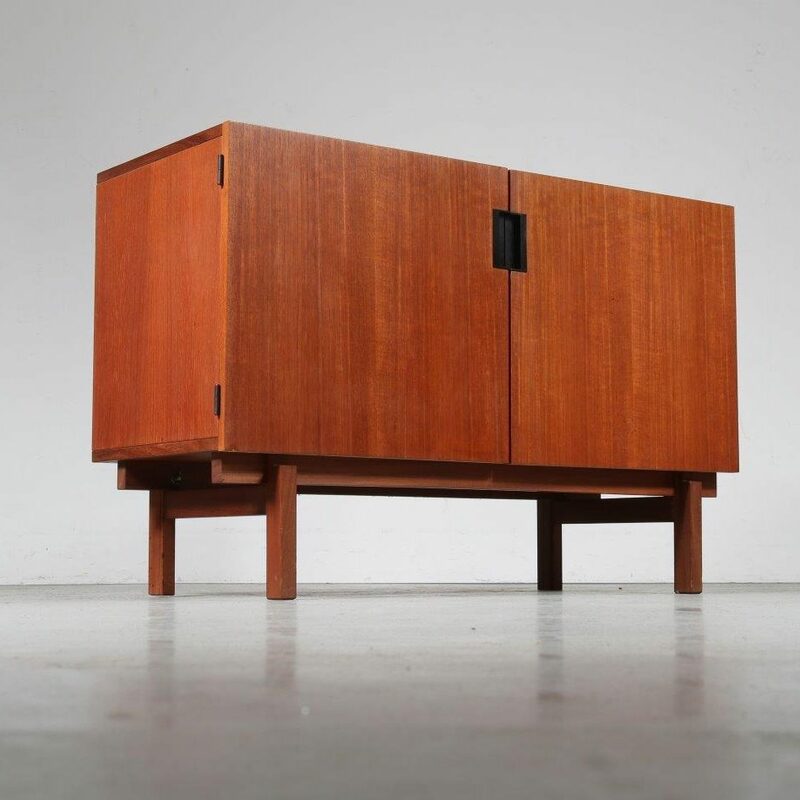 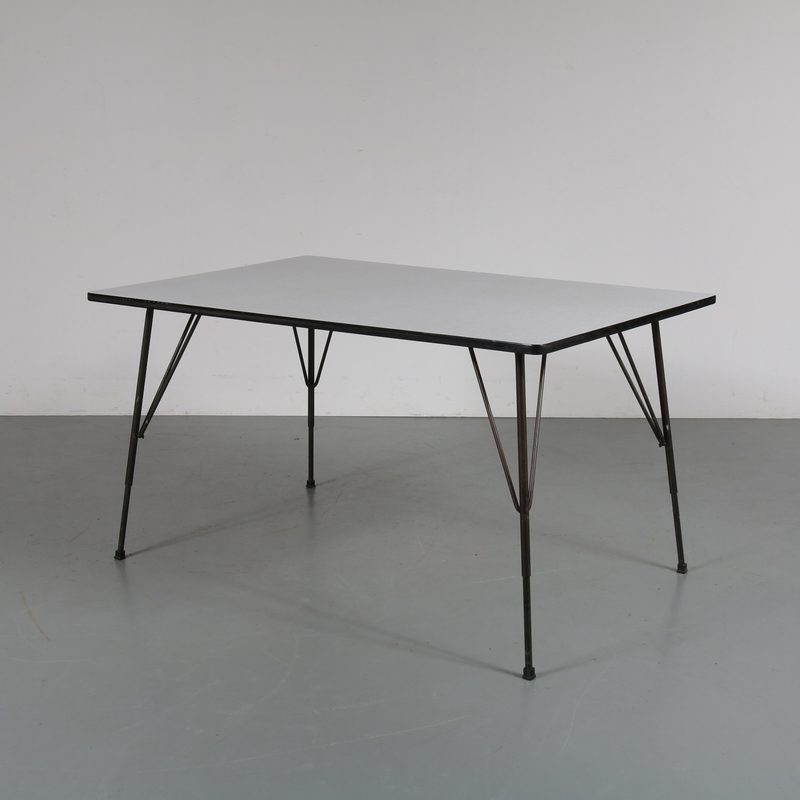 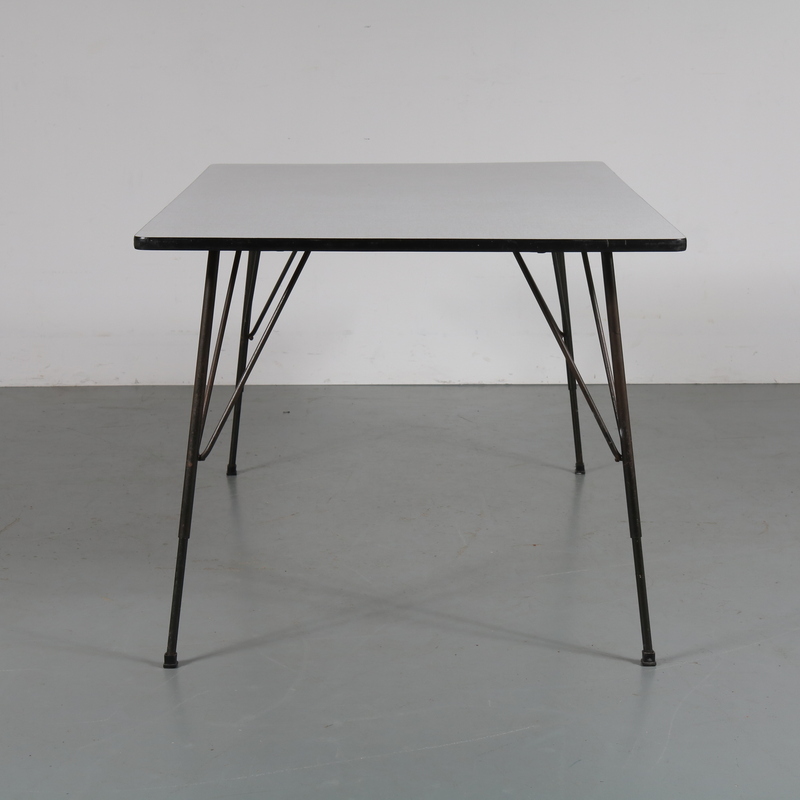 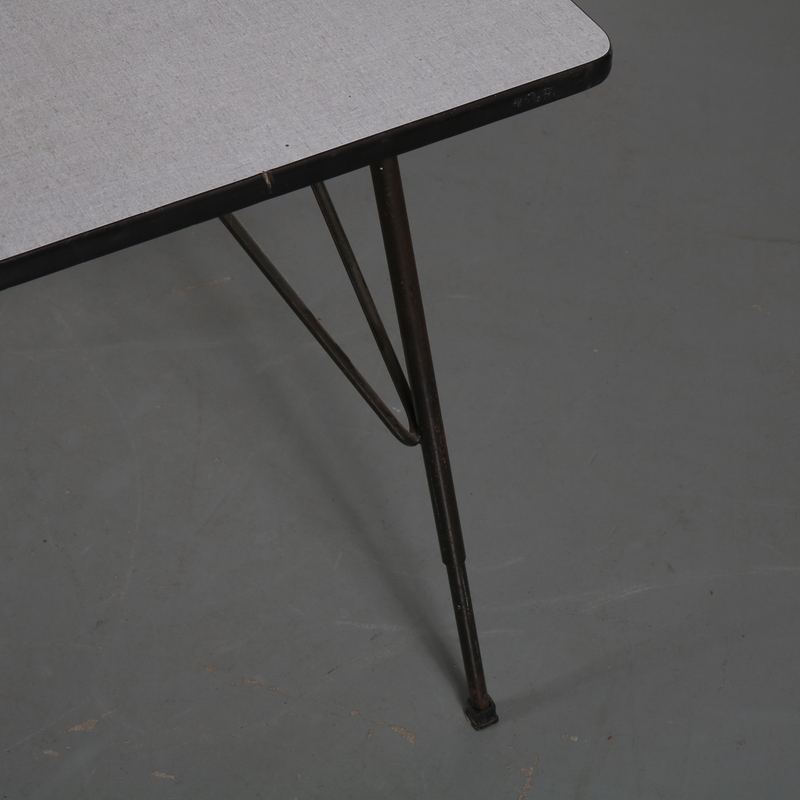 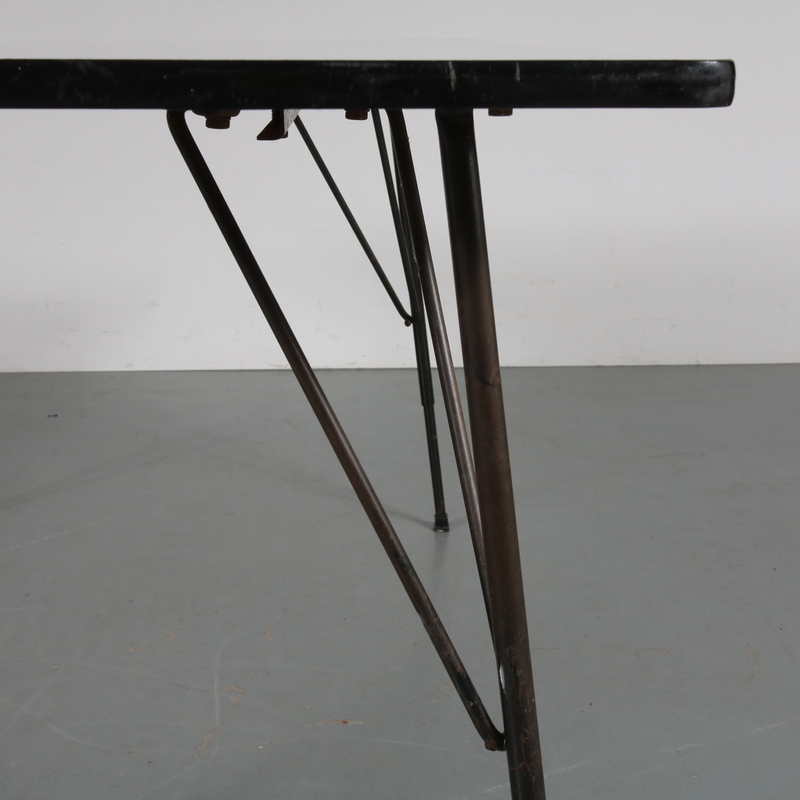 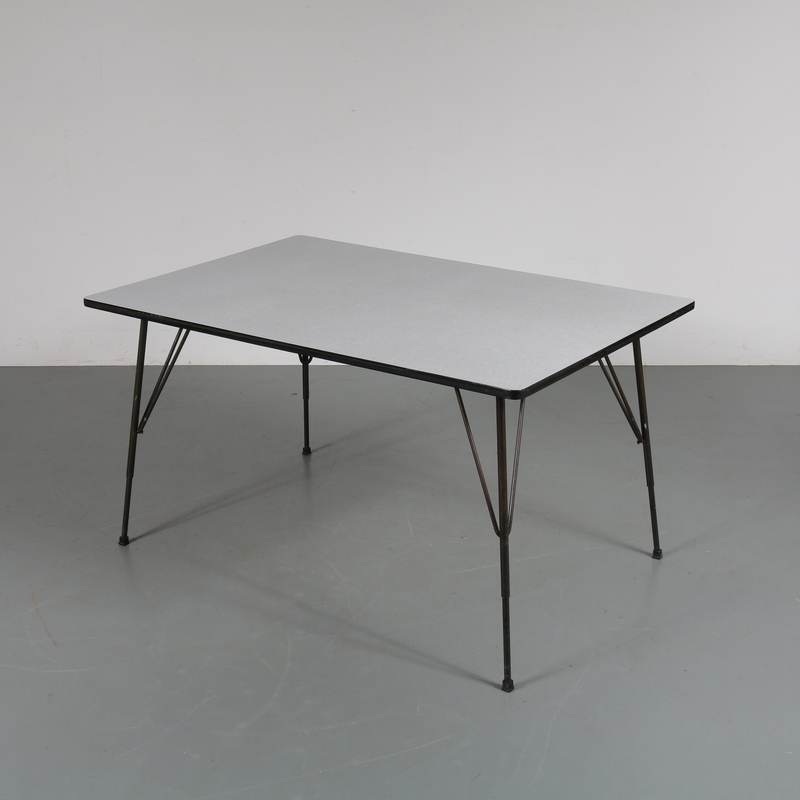 This highly recognizable table by Rudolf Wolf is an iconic piece of Dutch industrialism. 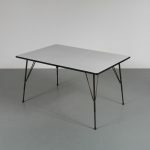 It is made of high quality black metal with a white laminated top. 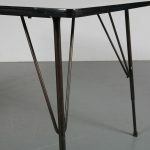 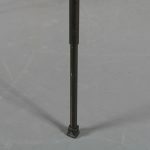 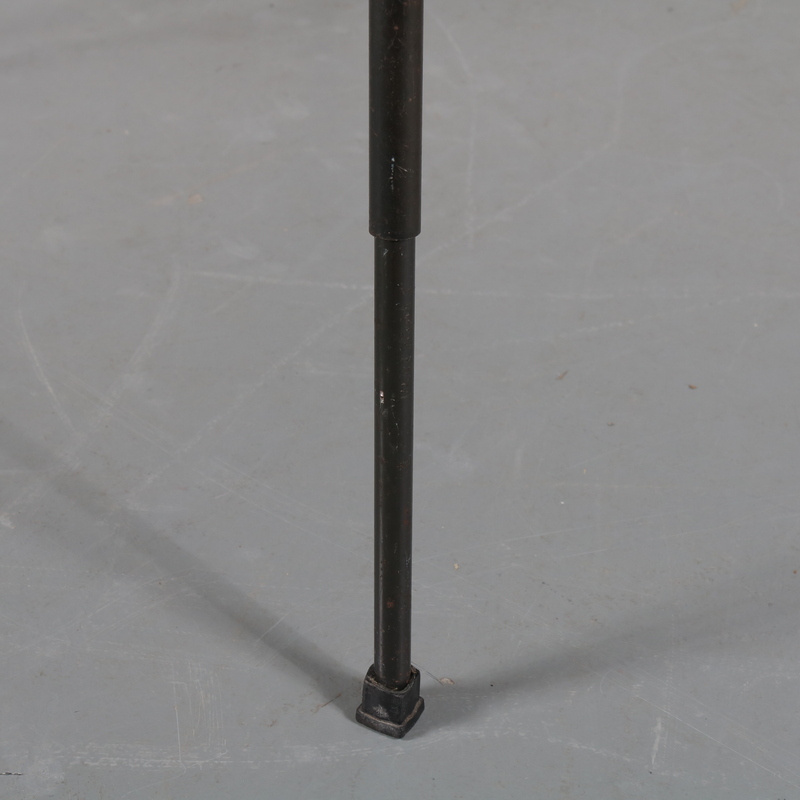 The side supports of the legs add nicely to the style: industrial minimalism with a touch! 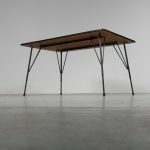 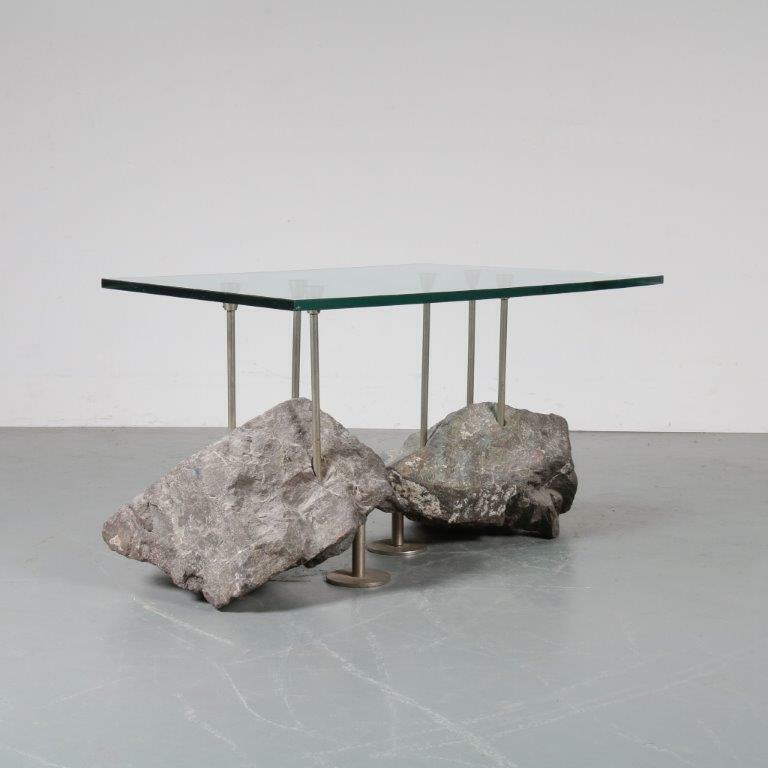 It could also very well be used as a desk to compliment your office decor. 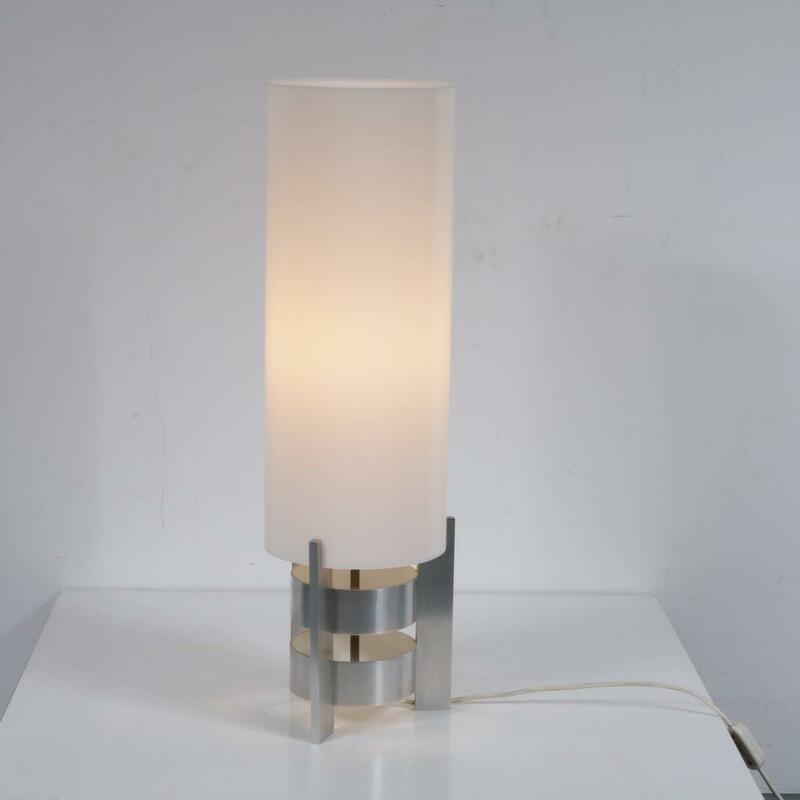 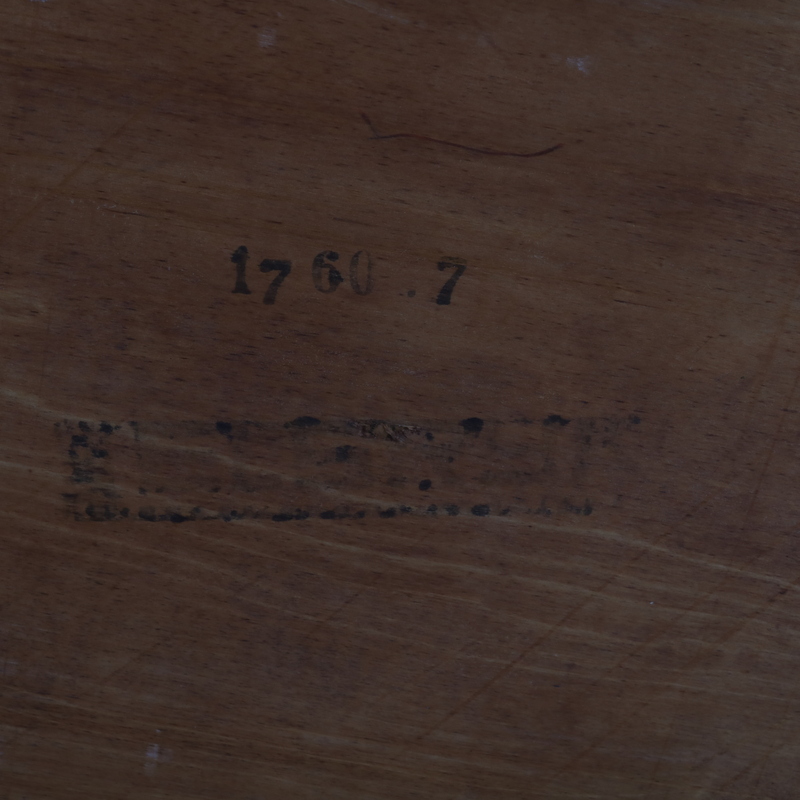 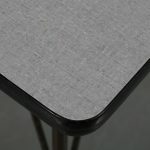 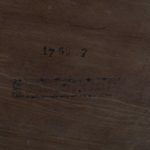 It remains in very good vintage condition, the table has the manufacturer’s stamp underneath the top.